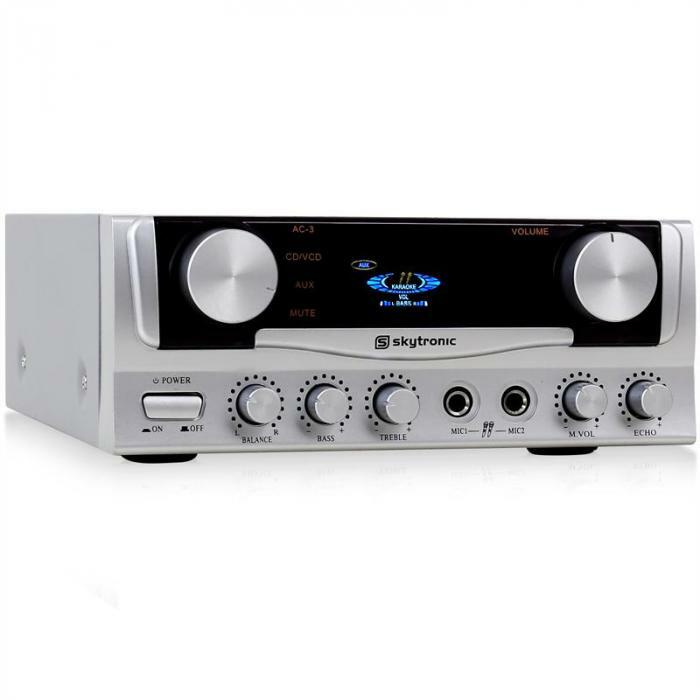 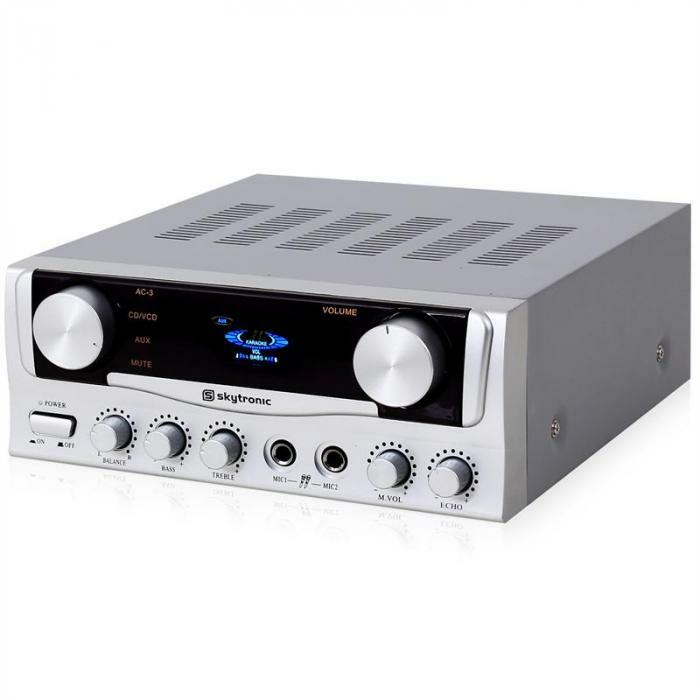 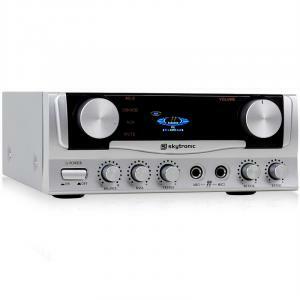 Compact Karaoke amplifier with stunning sound quality for great performance. 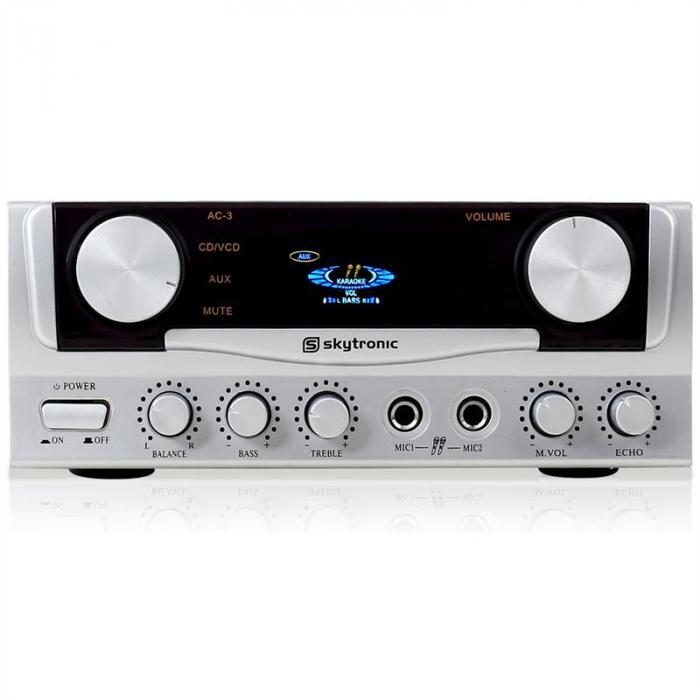 Skytronic's compact amplifiers are equally at home as a PA amplifier for small and medium sized events or for use at home. 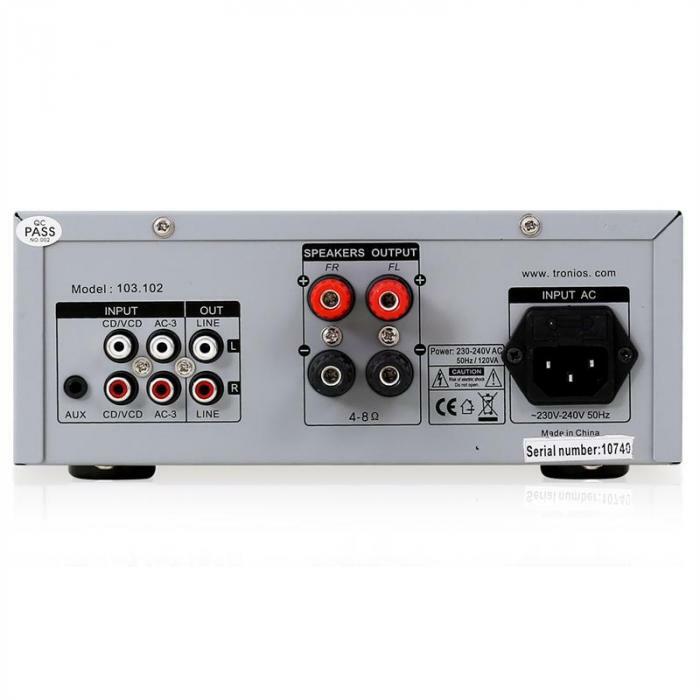 This unit offers 2 RCA inputs and for connection to CD players, MP3 players and other music sources and the two microphone inputs are accessible from the front panel and both have independent volume control and echo effect for fine tuning your sound. 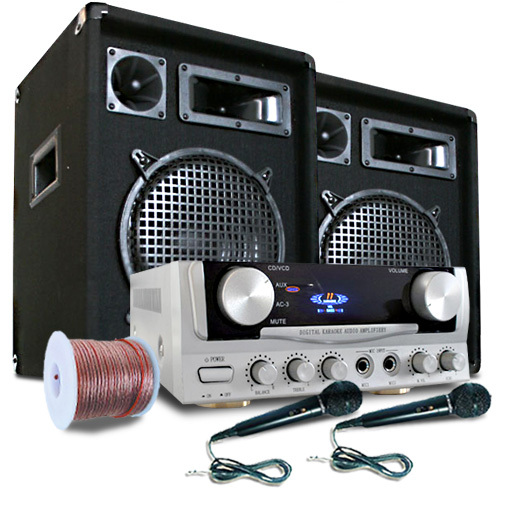 The compact dimensions not only allow use in confined space conditions, but also a simple set up and transportation.